Sunday June 15th, 2003: The 2003 Mets were in fifth place (31-36) under Manager Art Howe, paying a visit to beautiful Edison Field in Anaheim, California. A big crowd of 43,721 came to see the Mets play against Mike Scosia's third place Angels (34-32).. 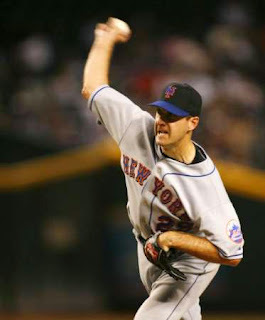 The Mets sent Steve Trachsel (4-4) to the mound against Jarrod Washburn (6-6). In the 2nd inning, the Mets struck as Jason Phillips & Tsuyoshi Shinjo walked, then Vance Wilson singled loading up the bases. Mets rookie Jose Reyes, playing in just his sixth career game, blasted a grand slam HR. It was Reyes' first career HR as well, making him & his team mates very happy. In the 4th, Jeromy Burnitz hit a solo HR to make it 5-0 Mets. Burnitz hit another HR in the 6th , a two run shot as Trachsel was cruising along with a no hitter & a 7-0 lead. In the bottom of the 6th,with two outs, David Eckstein lined a hit to center field, breaking up the no hit bid. "The pitch was supposed to be in the dirt, and I didn't get it down. But it was a good piece of hitting," Trachsel said. "This team doesn't strike out, so I was really concentrating on trying to get them to hit my pitches." An outfield error had Eckstein advance all the way to third base. The next batter popped out to first base, ending the inning. Trachsel would not allow another hit the rest of the way, he pitched the complete game shutout, registering the 20th one hitter in Mets history. Trachsel would walk four in the game, and strike out just one along the way. Trachsel who was known as "the Human Rain Delay" pitched one of his quickest games, wrapping it up in two hours & thirty eight minutes. He tossed 119 pitches & it was the first complete game for New York that season. Quotes: Steve Trachsel- The biggest difference today was that the ball was down in the zone and I pretty much had an idea where it was going." 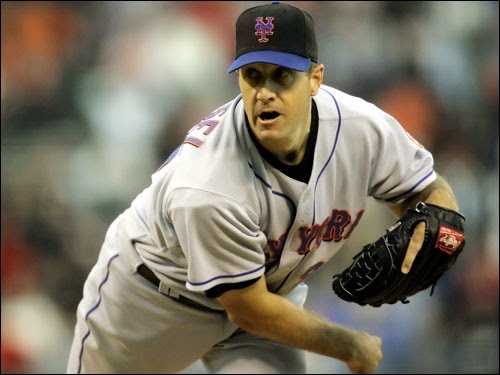 Trachsel was fifth in the NL in wins that year, leading the fifth place Mets staff in wins (16) ERA (3.78) & innings pitched (204) in 2003.